Gearbest.com sent me the SMOK X Cube II for the purpose of doing a review. It’s a 160 watt, temperature control device that supports nickel, titanium, and stainless steel coils. It has Bluetooth capability so that it can connect to your phone. It has a large and easy-to-use firing bar. It has a magnetic battery door cover. The firing bar lights up with any color you want. And has tons of advanced features. There are screws on the top and bottom of the X Cube II, which allows you take the whole device apart if you want. The screws on the firing bar can be loosened or tightened to fine tune the firing bar. The firing bar was sticking on me when I first got the X Cube II, but it’s nice and smooth after adjusting the screws. The battery sled is neat, the wiring looks clean, and there are wide vent-holes on the bottom of the X Cube II in case the batteries vent. The USB slot is on the bottom of the device, connected to the firing bar. 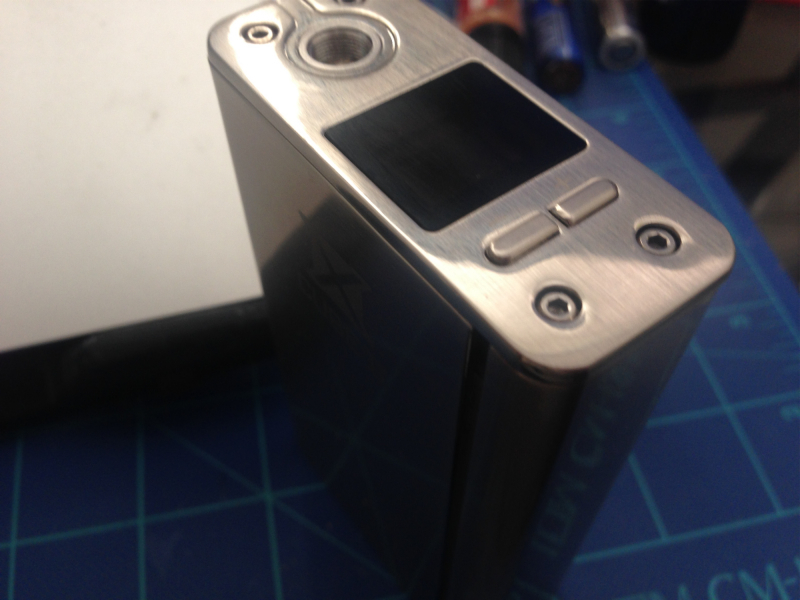 The X Cube II is a heavy-duty piece of equipment and the stainless steel is beautiful. Like most mods, five clicks turns it on. To access the settings menu, click the firing bar three times. To confirm any setting, you can hold the firing bar, or it will auto-confirm after 5 seconds. Each of the modes have special draw effects. The draw effects are applied to the first two seconds after pressing and holding the fire button. This allows for either a lighter or stronger ramp-up time before reaching your set wattage. Wattage: Wattage Mode allows you to precisely set the wattage in 0.01 watt increments until you reach 100 watts, where it will switch to 1.0 watt increments. The X Cube II can operate from 6w to 160w. Temp: The X Cube II supports Nickel (Ni200 only according to the manual), Titanium, and Stainless Steel wires in Temperature Control mode. Nickel Mode allows you to choose from single coil or dual coil, but I tried both modes and didn’t notice a difference. In Temp mode, you can also set your coefficient, if you that’s something you want to mess around with. From what I’ve read online about this feature, this is one method of bypassing having to purchase the upgrades to use Ti and Stainless Steel on the X Cube. The X Cube already has the ability to use these wires, but the features aren’t turned on until you purchase them from the app, but you can simply change your coefficient to whatever the proper coefficient is for the wire you want to use, and it should work just fine. This is the first vaporizer I’ve used that has a coefficient setting, so I had to do a little research. WakeAndVape.com has a great in-depth article about coefficients and vaping if you want to learn more. Here are the coefficients for reference. Memory: Memory mode is for Wattage only. It does not work for Temperature Control. There are 16 memory slots that you can personalize to whatever wattage settings you prefer, but the default settings are in 10 watt increments, starting at 10w and going up to 160w. RGB Values: You can set the values for Red, Green, and Blue to get the color you want. It’s much easier to set this in the Smoke BEC smartphone app, but if you don’t have access to the app, here’s a list of 500 different colors and their RGB values. Jump: Turns “Jump” mode on, which cycles through a bunch of colors quickly while you press the fire button. Shade: Turns on “Shade” mode, which is similar to “Jump” mode, but is much slower. LED Off: If you don’t want the LED to light up on the firing bar, you can turn it off entirely. If you’re trying to quit smoking and you want to limit yourself to a set amount of puffs per day, you can set this up on the X Cube II. When you reach that set amount of puffs, the X Cube II will no longer fire until the next day or until you turn off the puff counter or reset it. 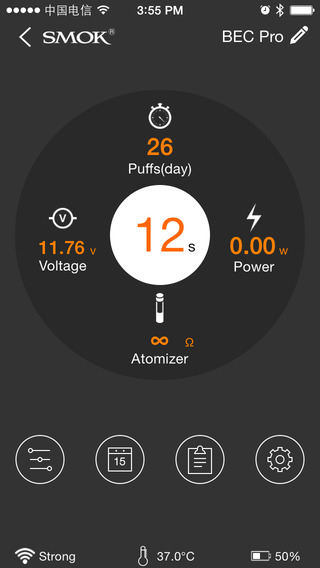 You can set the puff counter for the next seven days in the SMOK BEC smartphone app. Stealth: You can turn stealth mode off or on. This will allow you to vape without the screen illuminating, although the firing bar will still light up if you have it on. Time: This is how long the screen will stay on. The default is 30 seconds. If you set this to on, the X Cube will lock after the screen goes off, which will require you to press the firing bar five time to start vaping again. The time and date is set automatically after you connect the X Cube II to your phone using Bluetooth. The X Cube II also uses the time and date to store precise puff data, which can be viewed in the SMOK BEC app. This is to adjust ohms while in wattage mode, according to SMOK’s firmware upgrade page. I’m not sure why you need this feature since you can set and lock in your atomizer’s ohm value with the “Is this a new coil?” feature that displays after changing the atomizer. This is to update the firmware of the SMOK X Cube II over the internet, but I’m not sure if this works. When I upgraded the firmware on my device, I had to download the upgrade files from SMOK’s website, connect the X Cube II to my computer and run their upgrade app. I never used the Download setting from the menu. Most vaporizors turn off and on with five clicks of the firing button. Five clicks turns the X Cube II on, but instead of turning it off, five clicks will instead lock the screen. If you want to turn off the X Cube II entirely, you can do it in the menu. The X Cube II has so many functions, SMOK created several quick shortcuts as well. When the X Cube II is locked, there are more shortcuts. Press the fire button five times to lock the screen. The Smart BEC app is available on iTunes and Google Play. You need to turn on Bluetooth on your phone and on the SMOK X Cube II for it to connect correctly. The app has most, but not all, of the features that the SMOK X Cube II device has itself, but in a more easily accessible interface. On the first screen, you can set the special draw effects (min, soft, normal, hard, max), temperature control and coefficient settings, wattage mode settings, and custom power settings. In the custom power settings, you can create customized profiles, similar to the memory mode settings on the X Cube II. You can use this to create profiles for preferred wattages, which I think is handy for remembering preferred settings for particular atomizers you own. The second screen on the SMOK BEC app is the “Plan” page, which allows you to set restrictions on how many puffs you want to allow yourself to have per day. You can customize your settings for up to seven days. The third screen of the BEC app is your “Vaping Record.” This shows you the days you have vaped, the times of day you vape, and what your settings were (volts, watts, ohms, how many seconds per puff). You can look at your record for Today, Yesterday, This Week, and This Month. On this same page, there is also a button that takes you to you a map that shows where you vaped, which is tracked using GPS. There’s a line graph as well. The main screen displays real-time data while you’re using the SMOK X Cube II. It will show the seconds of your puff, and the exact wattage, voltage, and temperature the SMOK X Cube II is using. The X Cube II also displays this on the LED screen, but it’s not as precise. You can also see how many see the ohms that your atomizer is registering. This main screen also displays your puff counter for the day, how strong your Bluetooth connection is, the standing temperature of your atomizer, and battery life. The SMOK X Cube II is designed well. There aren’t any major problems with it, but there are a few minor issues. The firing bar was sticking right from the get-go. This was easily fixed by loosening the screws at the top of the firing bar, but it scared the crap out of me when it wouldn’t stop firing on my atomizer. If you buy the X Cube II, you should check to make sure the firing bar doesn’t stick before you put batteries in it. There’s a small gap where the battery door latches on to the device. That’s very nit-picky and not a big deal to me, but it would be nice if it were flush. The battery door is also a little loose. It doesn’t rattle, but it’s easy to slide out of place when you’re holding the X Cube II. SMOK should have used larger or more magnets. I didn’t notice a difference when using the Single Coil and Dual Coil options in Temperature Control mode. SMOK should at least explain what the differences are in the manual. 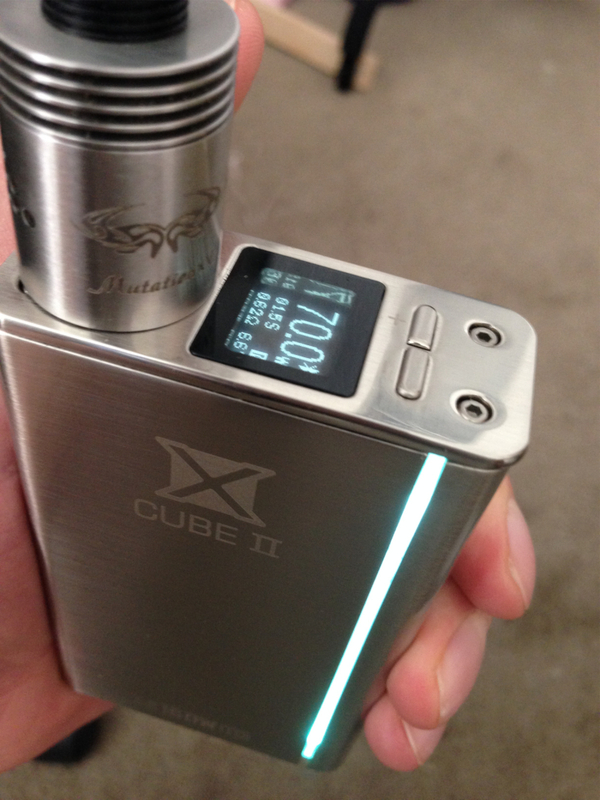 The X Cube II doesn’t recognize a new atomizer if you change it when the OLED screen is off. You have to change atomizers while the screen is still active. The X Cube II doesn’t appear to fire at the wattage you set it at, beyond a certain threshold. This appears to be limited by the resistance of your atomizer. Using a 0.56 ohm atomizer, I set it at 160 watts and the SMOK BEC app shows that I’m actually getting 73.41 watts. I tested this again after recording my review. With the X Cube II set at 160 watts, I used a 0.27 ohm atomizer and it registered at 130.73 watts. So if you want to get the max wattage out of the X Cube, you need to use very low ohms. I would like to be able to change colors on the device menu without setting individual RGB values. They should have included a menu with at least the primary colors. The OLED screen is small and can be difficult to read. I think it’s also a little too close to the atomizer. The screen is so close that I constantly have to wipe condensation off. 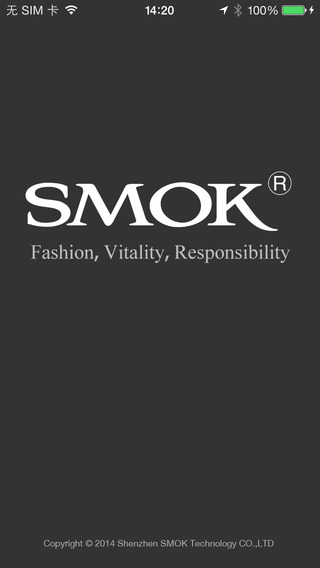 There are some updates that SMOK should also make to their BEC app. With being able to fine-tune the RGB values on the device, they should also add this option to the app. It makes more sense in the app, because you’re more likely to have access to the internet on your phone where you can look up RGB values. The app also doesn’t have the Dual Coil / Single Coil option for temp control. Lastly, the user manual is not as in-depth as it should be. 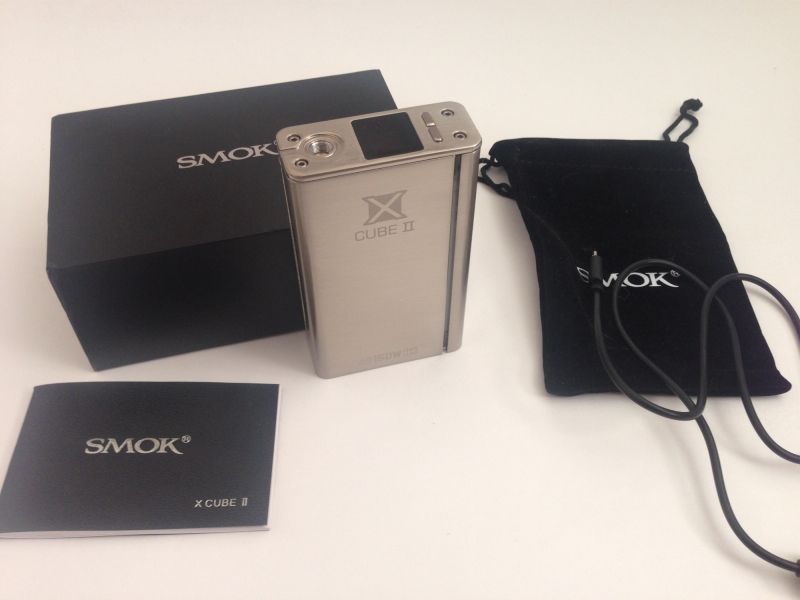 SMOK provides a very high level overview of the features on the X Cube II, but they don’t go into much detail. They’ve also left out quite a few features from the manual. As advanced as the X Cube II is, they really should have spent more time on the manual. Should You Buy The SMOK X Cube II? Bottom line – the SMOK X Cube II is sweet. It has a ton of features and it’s innovative. There’s nothing on the market like it. I wasn’t sure about the firing bar when I first used it, but it only took a day for me to really appreciate it. Now I think having the whole side of the device being a firing button is awesome. I love it. The SMOK X Cube II isn’t designed for beginners because it has so many advanced features. I don’t think it’s a good idea for less-experienced vapers to be using external 18650’s either, until familiarizing themselves with battery safety. With that said, a beginner could probably buy this and be able to start using it fairly quickly. I love using the X Cube II and I highly recommend it. It’s probably the best mod I own. It’s going to be difficult for a new vaporizer to hit the market and surpass this one. Gearbest.com sent this to me for review. You can pick up a SMOK X Cube II for $99.90 with Temperature Control activated. Here are some more vendors selling it. Agree, very very sweet mod. Thanks Stephen! I like it a lot. It has it’s quirks and probably won’t appeal to a beginner (or even some hobbyists), but I have a lot of fun using it. It depends on how often you vape, but with regular use, I found myself needing to change the Nautilus Mini coil every two weeks. Unless it tastes burnt, you can use it indefinitely, but the longer you go without changing it, the less flavor you get. I went two months on one coil once and probably could have kept going, but I wanted more flavor so I switched out the coil. I am not fond of Smok mods. However I feel they did a good job with this one. It is fun to use if not all that practical. The downsized mini would be much more useful. I would rate it B+. It is fun to play with in any case! Ha ha, agreed. It’s not practical at all, but I had a lot of fun learning it and using it. Press the large button five times and it’ll turn off. Oops! I apologize for the bad answer and thanks Bigsmoke for providing the correct steps. Hi there. I have a reeeally important question that I haven’t been able to find an answer to!! I have had this mod for a few months now and it used to every time I would change the coil “atomizer” it would read is this a new coil. But now for the last month about, it hasn’t!! And I know i have been burning through coils because of it because it is stuck at .29 ohms…and it never changes…my puff count does..i can set my wattage etc….but i have tried everything I can think of to get it to read a new coild…and no luck!! Any help would be GREEEEEATLY appreciated!! Thank you so very very much!! Hi Marissa, I had a similar problem. I had to take the atomizer off, press the fire button, put the atomizer back on, and then it would recognize the correct resistance. I’ve used all of my atomizers on it, tanks and RDAs, and they all work perfectly. Your TFV4 would probably work fine and I think any of the top-rated atomizers would be good too, such as the UWell Crown, ZPAL (high wattage and accepts TFV4 coils), and Sense’s Herakles. These are tanks that I haven’t actually tried, but I hear them recommended all the time. Hope that helps! Have fun with the X Cube II!